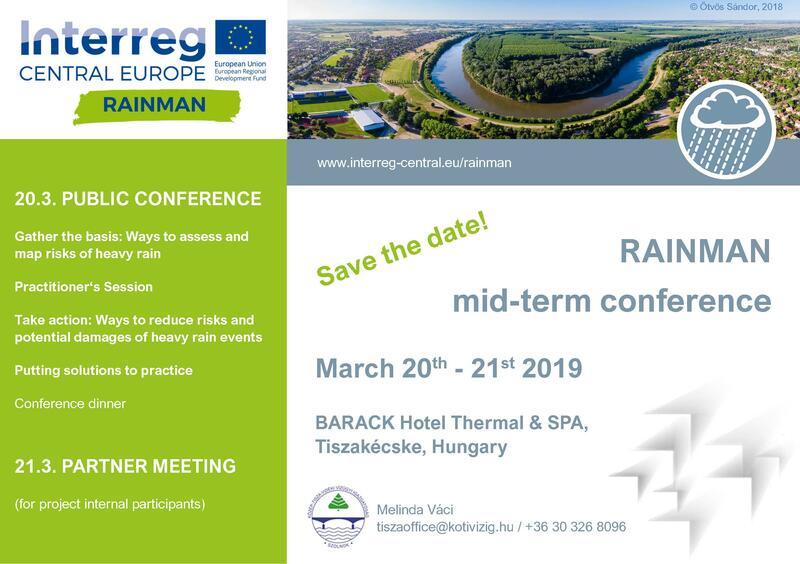 The RAINMAN mid-term conference and the second practitioner workshop will take place in Tiszakécske, Hungary on 20.03.2019. During the workshop approaches for the documentation and mapping of heavy rain hazards and risks on the local level will be discussed. For this, interested municipalities and further local stakeholders are welcome to participate. Further information will be available on the RAINMAN website. We are looking forward to meeting you in Tiszakécske!